Congratulations to our VP of Human Resources and Talent Management, Bette Francis. 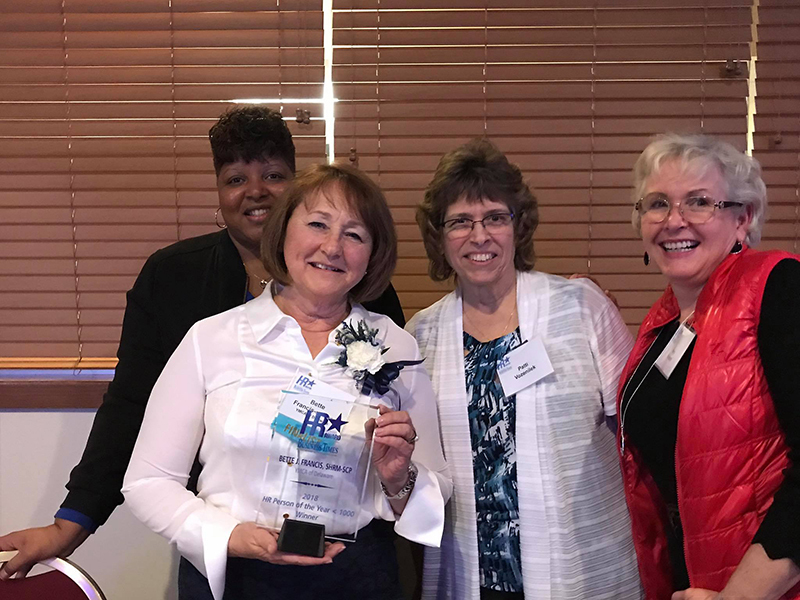 Bette was recently recognized as the HR Person of the Year by Delaware Business Times. Bette began working at the YMCA of Delaware earlier this year and she brings more than 20 years of experience in HR. Her most recent role was with M&T Bank/Wilmington Trust as Vice President of Human Resources where she led teams in talent acquisition, onboarding, compensation, benefit structure and leadership development. Prior to that assignment, Bette worked for Strategic Product Services in New Jersey, where she designed performance matrices, created and analyzed customer satisfaction surveys and established strategic initiatives and best practices in HR management. In her early career, she held several HR positions across different business sectors. She is a member of the Society for Human Resources and served as the national chair from 2013-2015. She holds a BS from Thomas Edison University and is certified by SHRM as a SHRM- Senior Certified Professional.